The Trudeau government’s new budget targets the first-time homebuyer who wants an electric car in the driveway, some job-training and a subscription to a digital news website. The Trudeau government's new budget targets the first-time homebuyer who wants an electric car in the driveway, some job-training and a subscription to a digital news website. There are other scattershot tax breaks and benefits in the 2019 spending plan — a fiscal document that works very hard to touch base with every consumer demographic in the run-up to this fall's federal election. The budget's broadest benefit is aimed at workers. All employed Canadians between the ages of 25 and 64 are to get $250 each year toward job-related training, up to a maximum of $5,000 over a lifetime. That money is supposed to pay half the cost of fees for training to upgrade job skills. The Employment Insurance system also will be changed to give workers time off to take that training. A more targeted big-ticket item is aimed at Canadians — mostly young people who can't afford a toehold in expensive housing markets such as Toronto and Vancouver. The budget's plan for these first-time homebuyers has the Canada Mortgage and Housing Corp. buying a 10 per cent stake in the purchased house, reducing the size of the mortgage for cash-strapped new owners. On top of that, the budget proposes letting homebuyers borrow a bigger chunk from their RRSPs to make their down payments. The maximum withdrawal would rise to $35,000 from the current $25,000. The budget also is offering cash rebates worth up to $5,000 on purchases of zero-emission vehicles — mostly electric cars. Businesses that buy these e-vehicles could also write them off completely in the first year. The Liberal government is following through on a previous promise to support journalism by giving tax breaks to consumers who subscribe to Canadian digital news websites. The non-refundable tax credit will be worth up to $75 a year, though it will come with lots of rules regarding which sites produce journalism eligible for the credit. The budget announced some broad measures that Finance Minister Bill Morneau said will gradually rein in high drug costs; no specific savings are promised in the short term. Morneau is also tinkering with excise taxes on some cannabis products (mostly oils) to cut their costs as of May 1 — especially for Canadians who use the products medicinally. 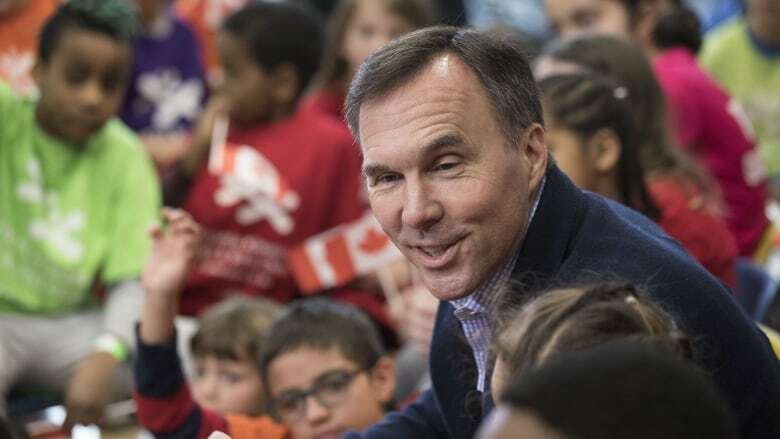 Morneau also has something for low-income working seniors who collect the Guaranteed Income Supplement (GIS), which is designed to pull retirees out of poverty. The budget promises to adjust the rules to allow employed seniors to earn more money in their jobs before having to give up GIS money. The measure would not come into effect until July 2020. The traditional sin taxes — on alcohol, wine, beer and tobacco — were left alone in this budget (which shouldn't be surprising, given it's an election year). But that doesn't mean no tax increases on alcohol. The government introduced an escalator tax in its 2017 budget, increasing the levy automatically by the rate of inflation each year. That automatic escalator pushes up the tax on April 1.